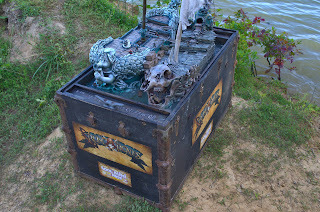 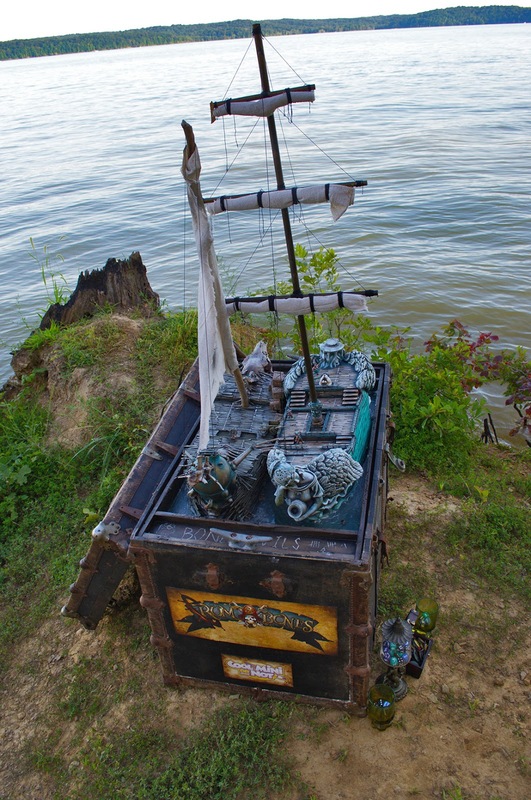 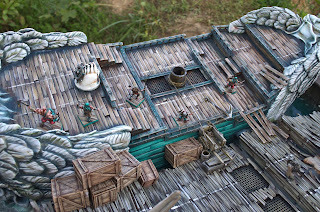 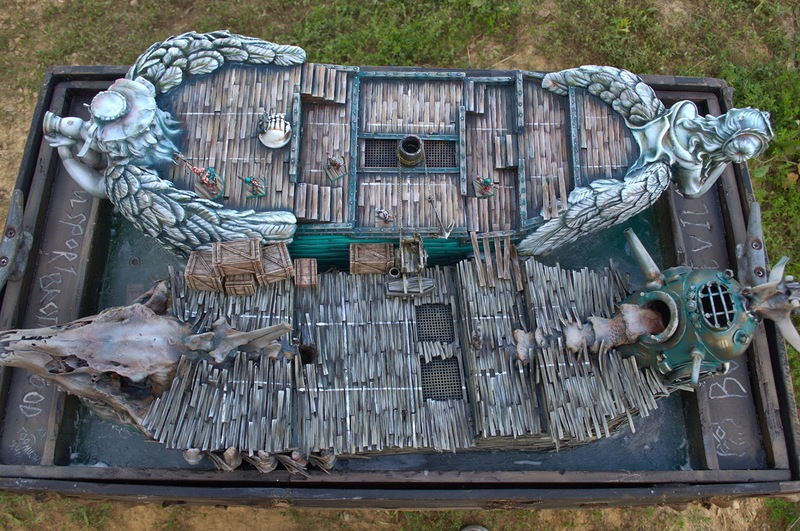 Hot out of the galley, here is the official display/demo table for Rum and Bones, a board game of ship to ship combat by CoolMiniorNot for Gencon 2015 in Indianapolis. 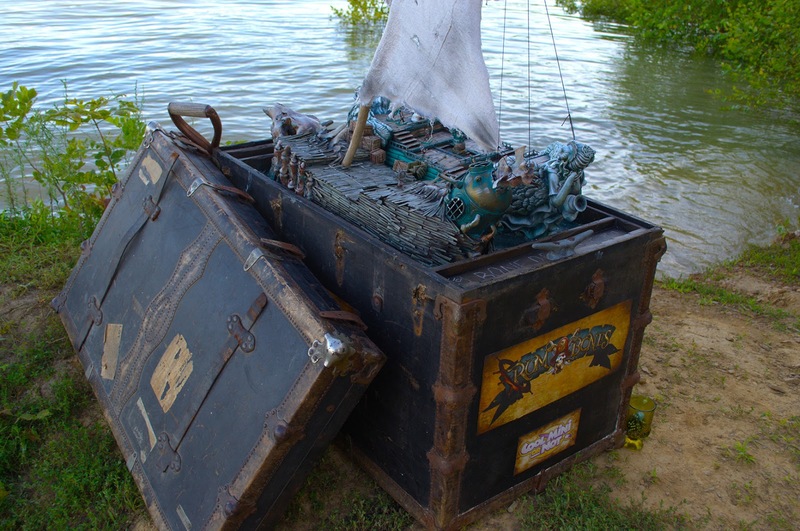 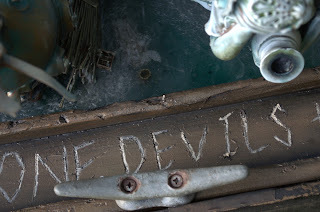 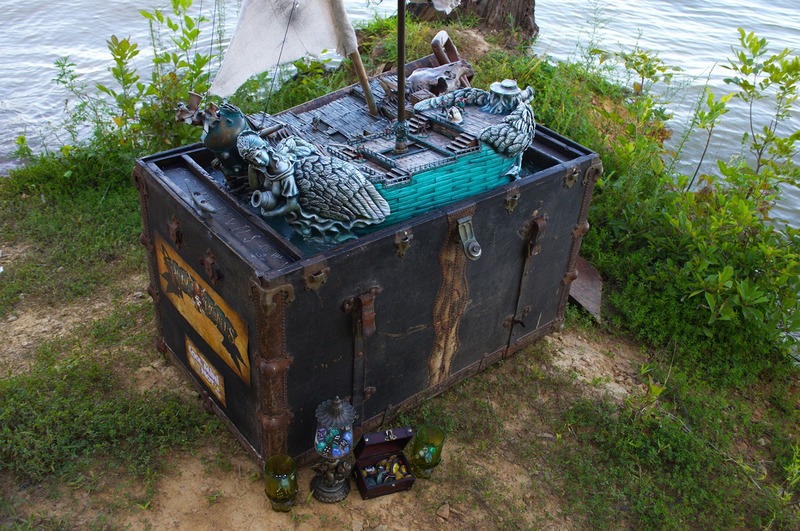 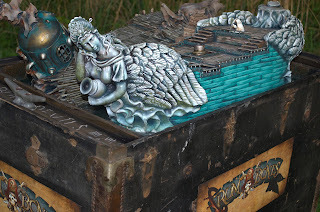 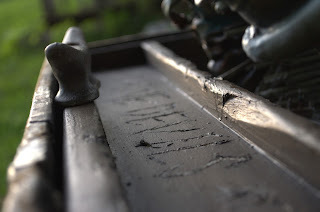 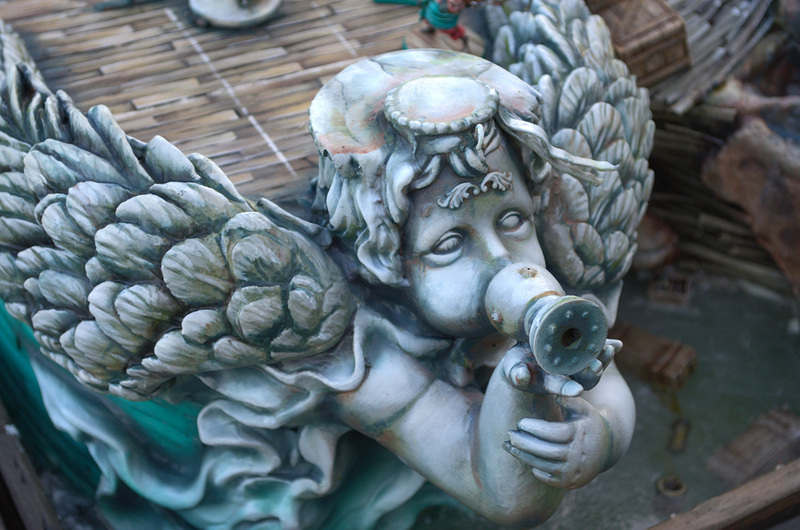 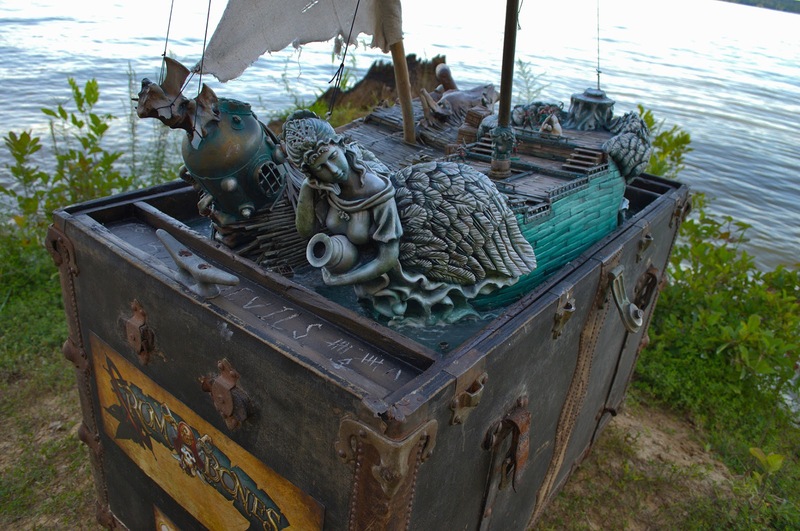 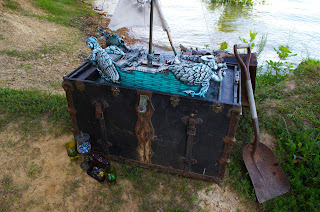 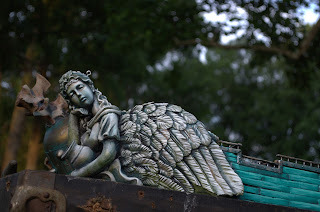 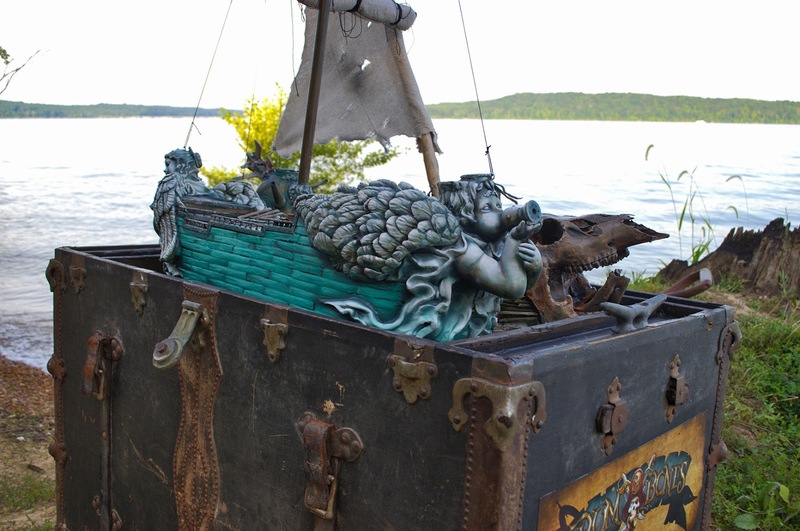 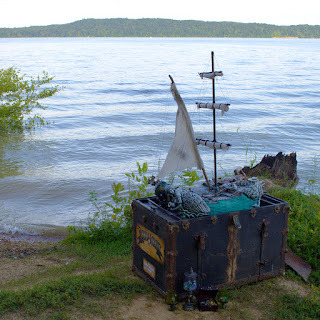 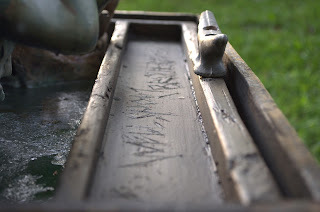 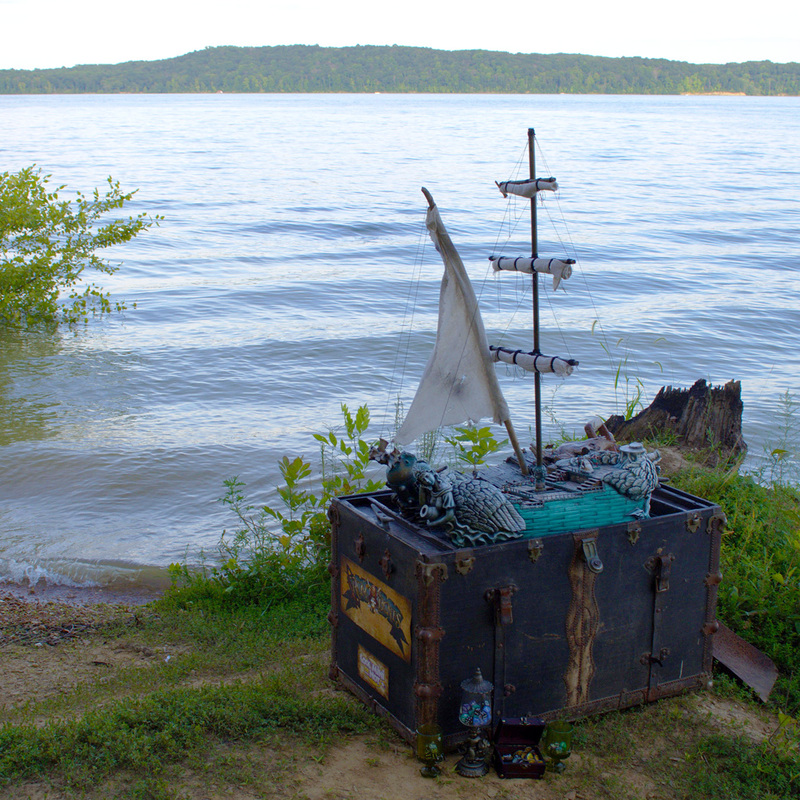 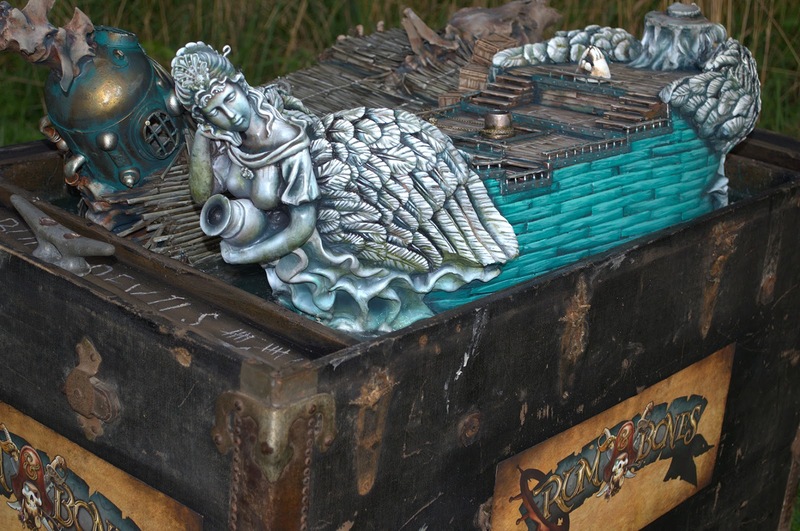 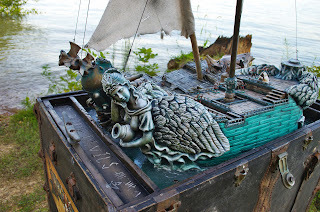 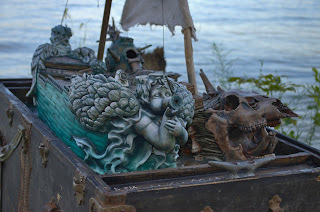 The display is built from an old trunk, inside of which a second 5" deep tray holds the three gallons of clear resin and two boats. 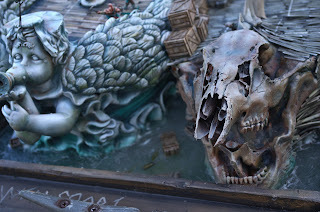 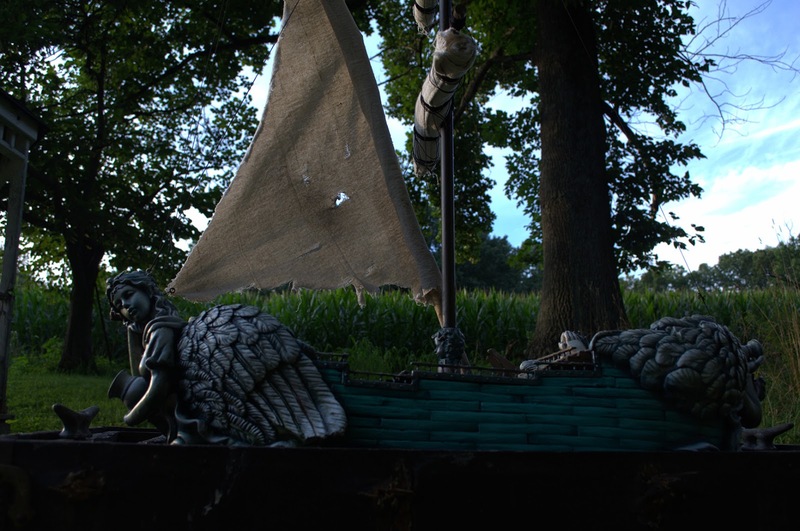 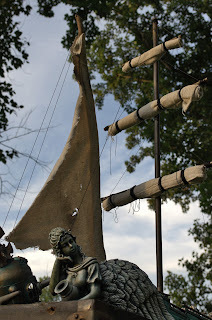 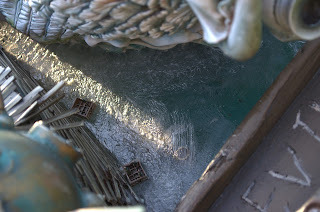 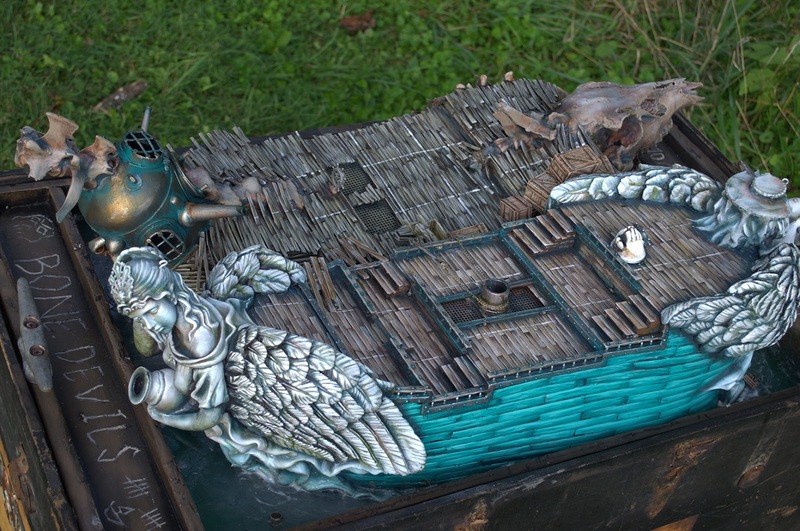 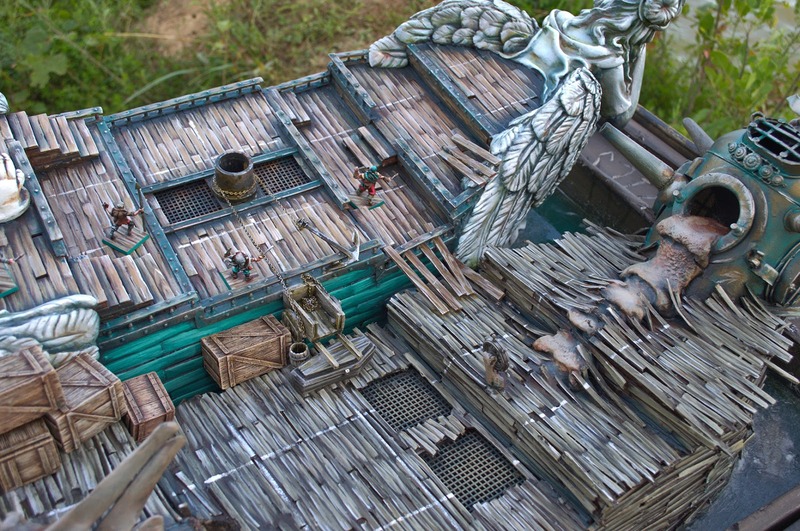 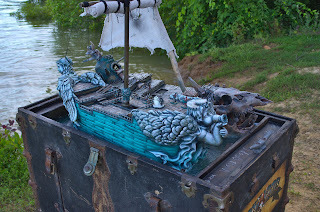 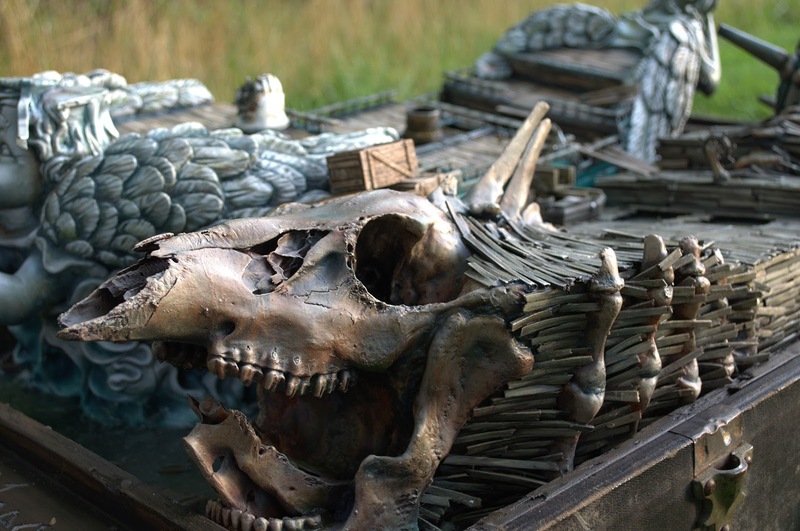 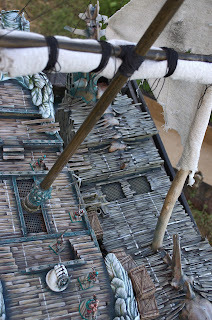 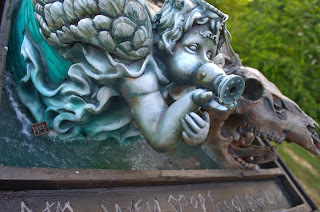 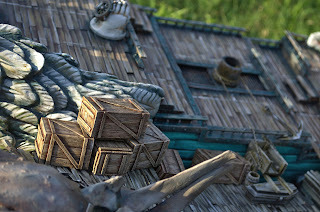 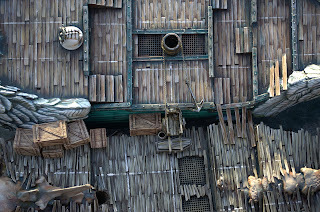 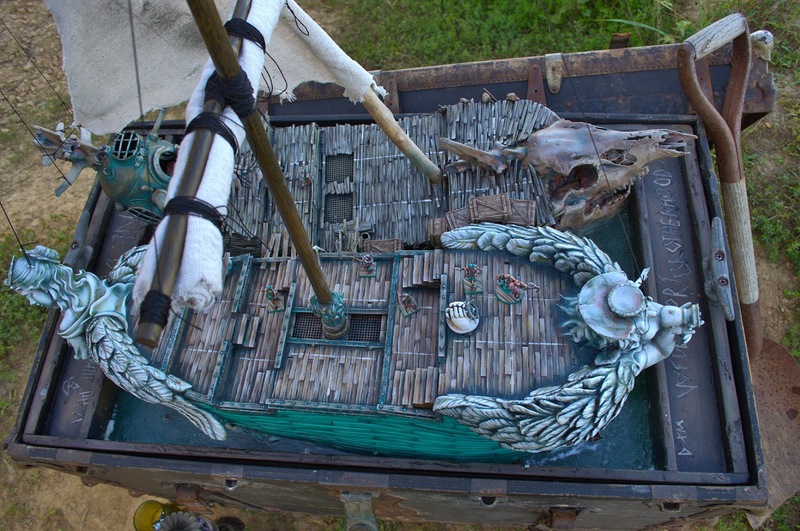 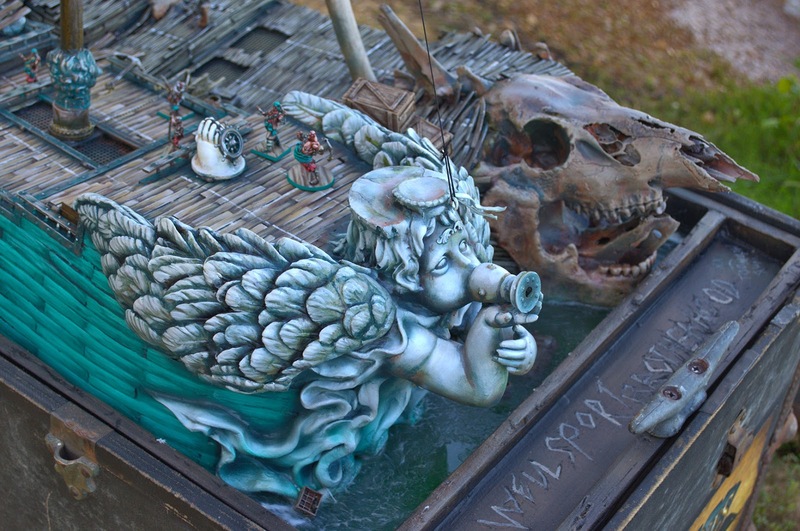 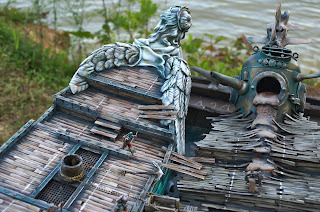 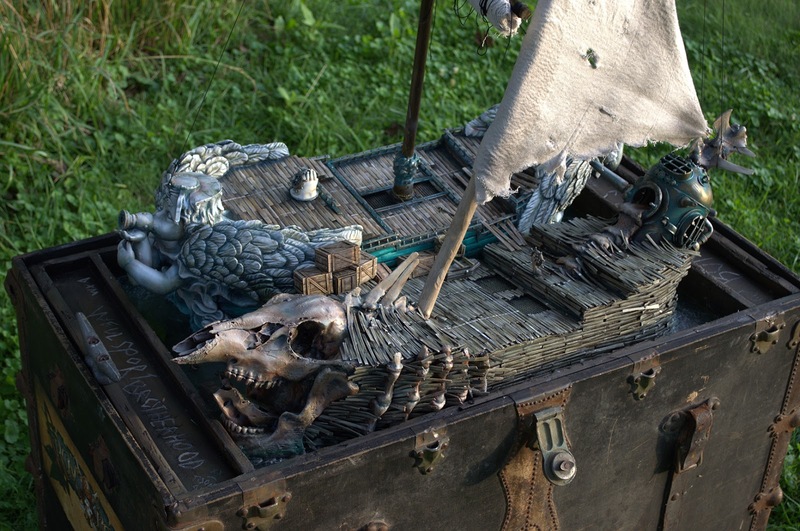 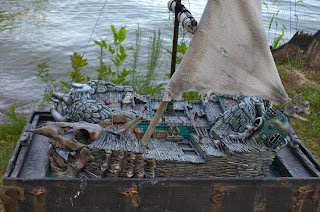 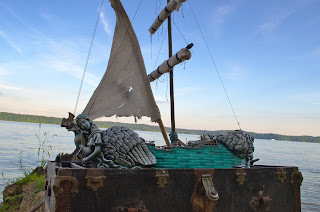 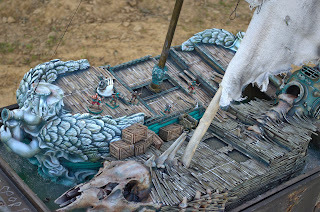 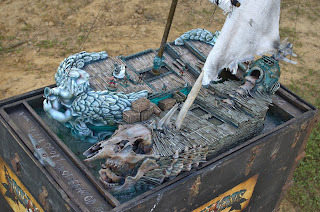 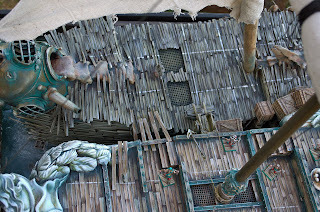 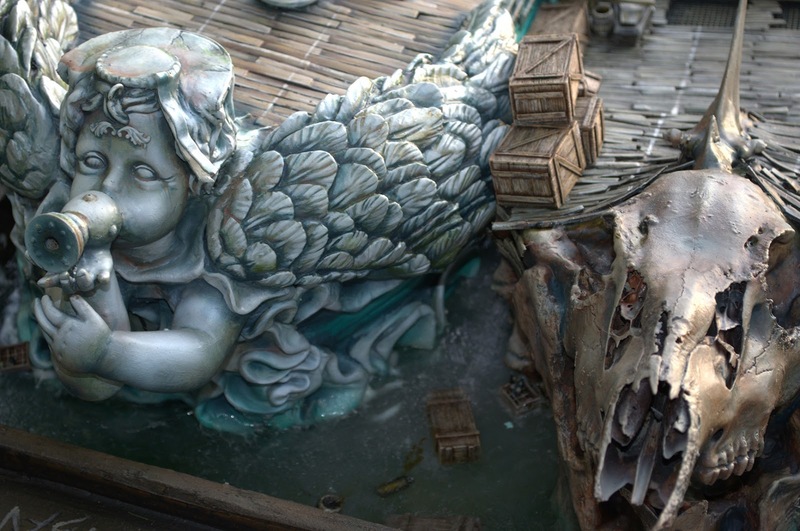 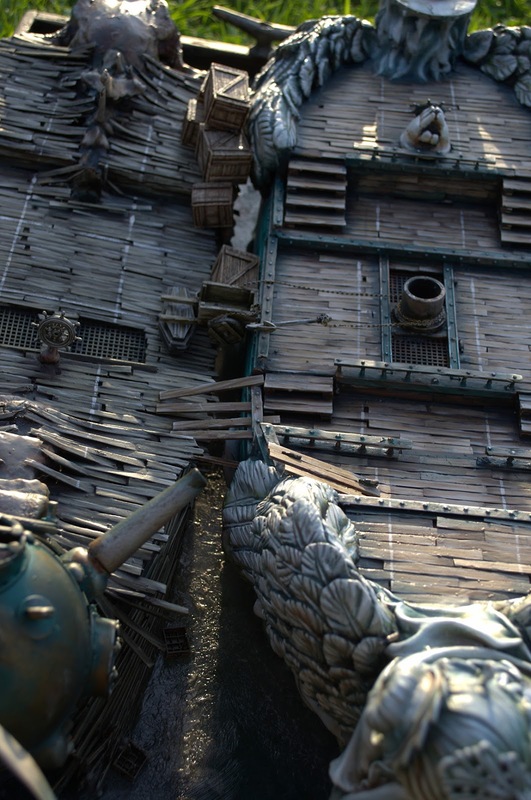 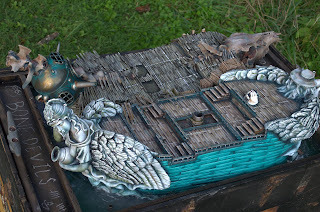 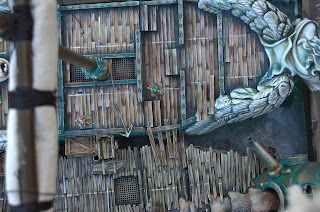 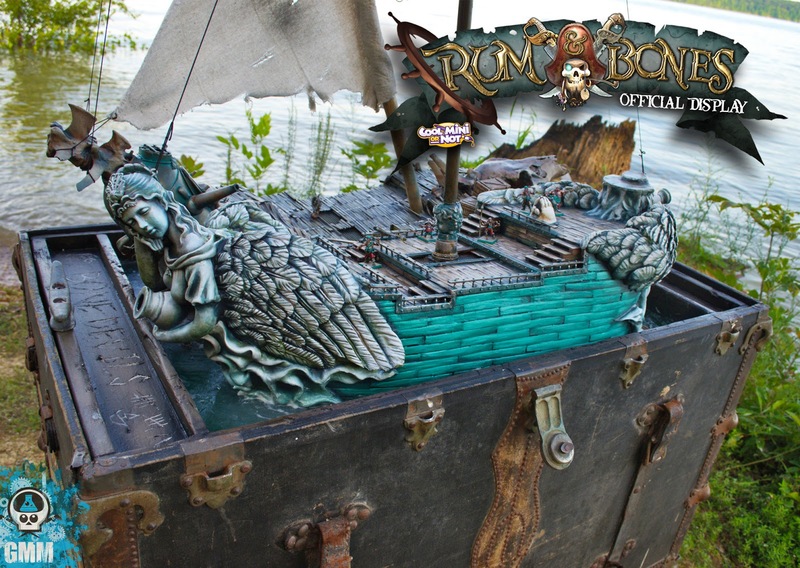 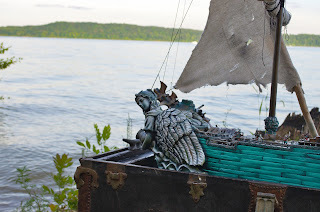 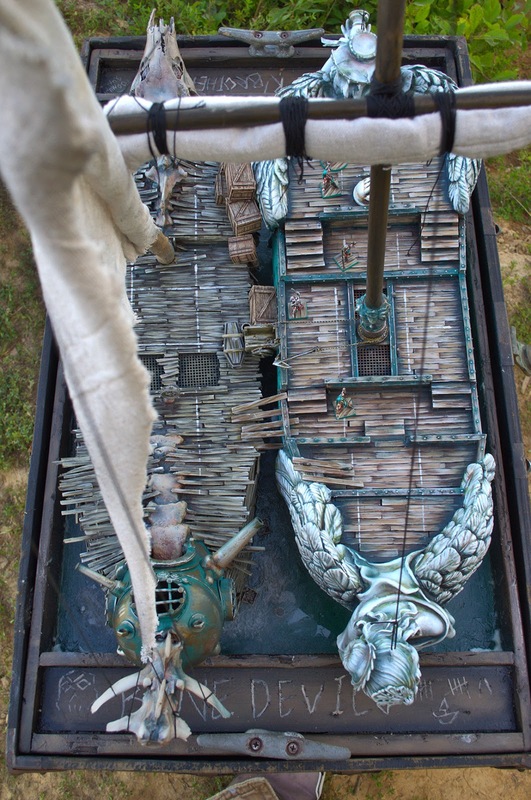 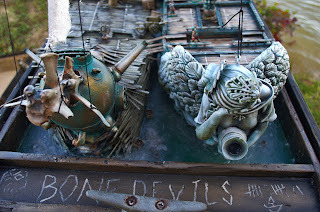 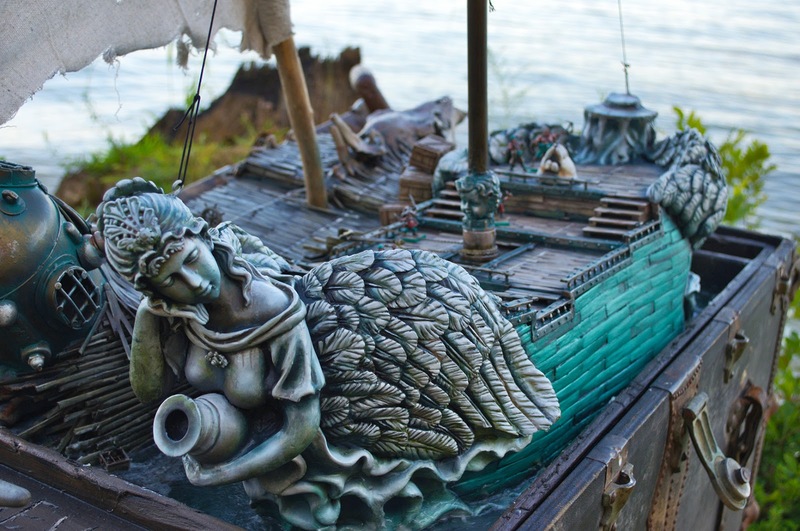 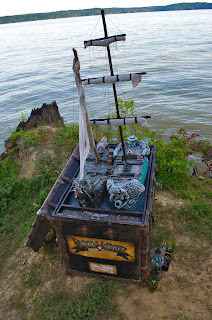 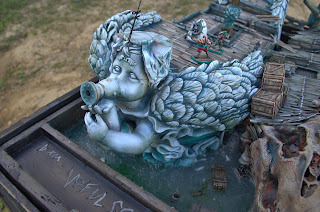 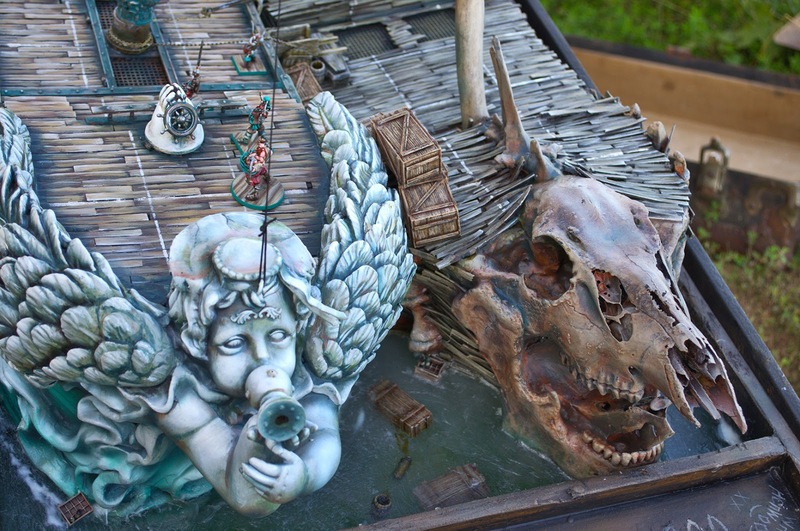 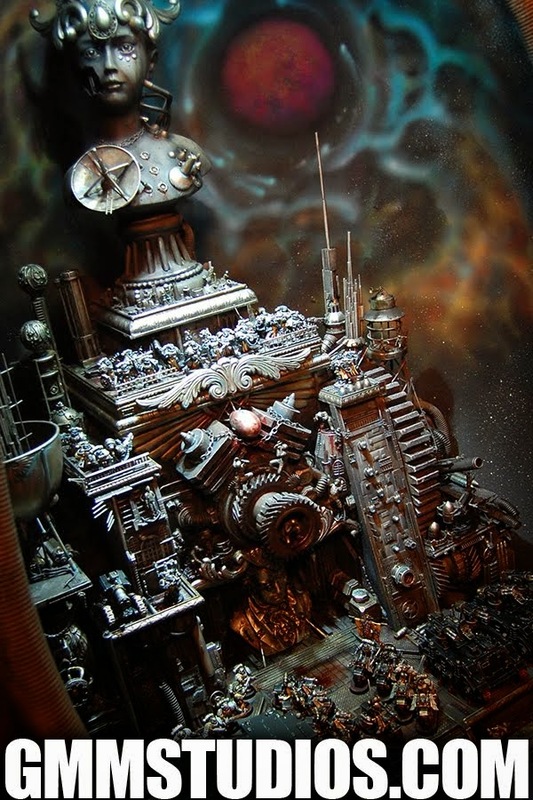 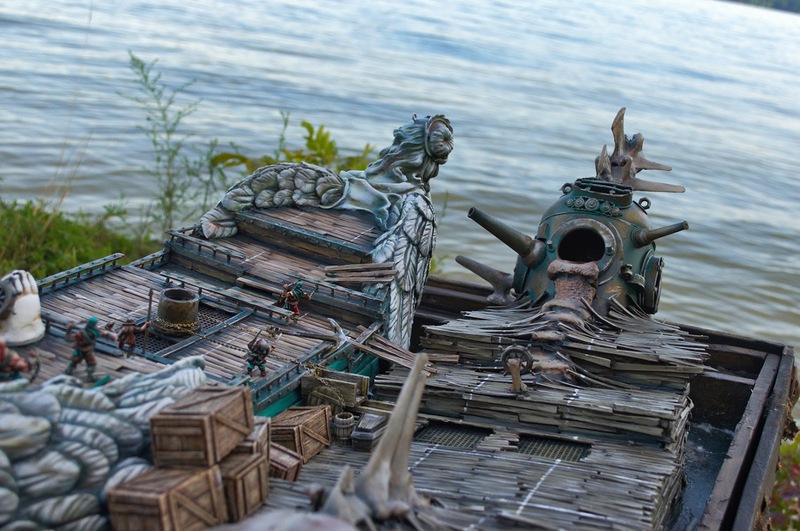 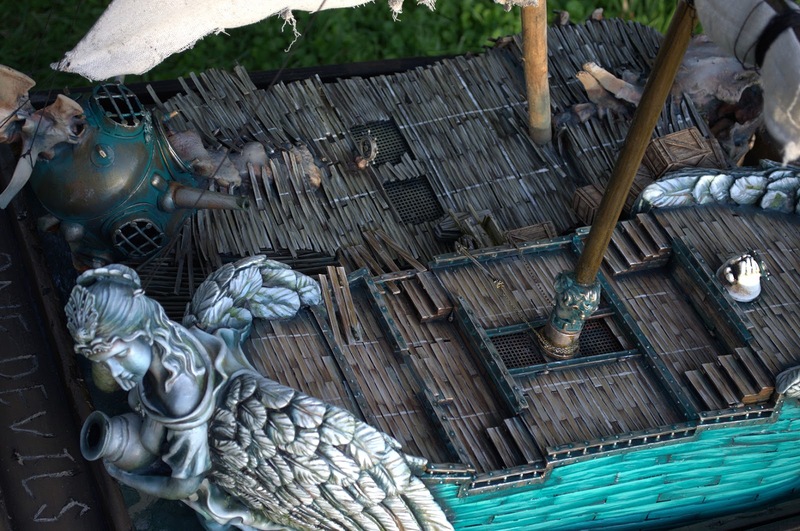 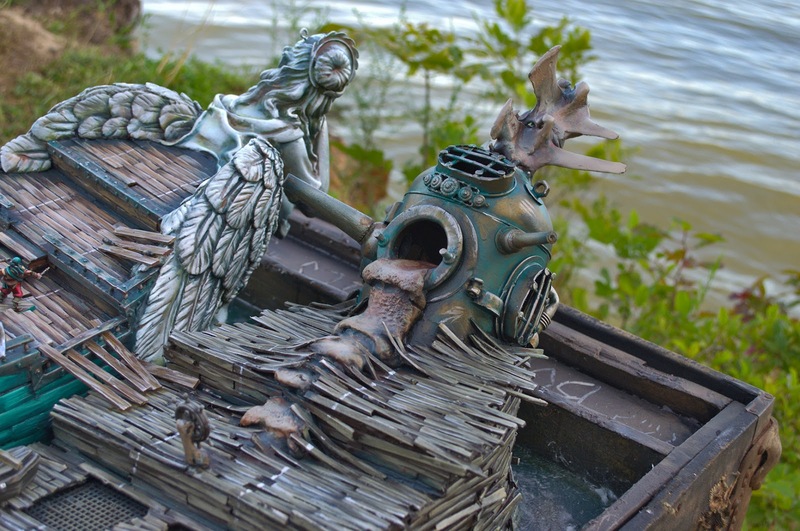 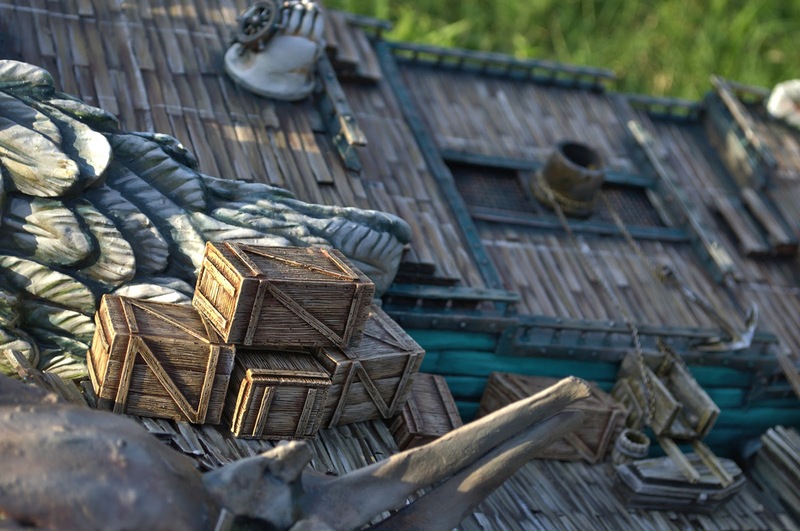 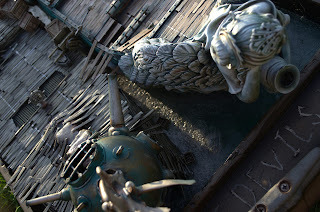 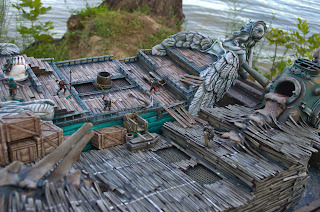 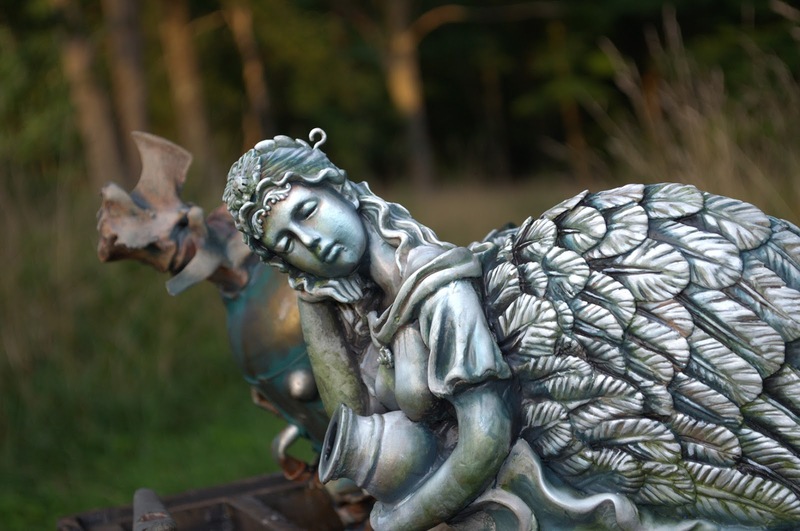 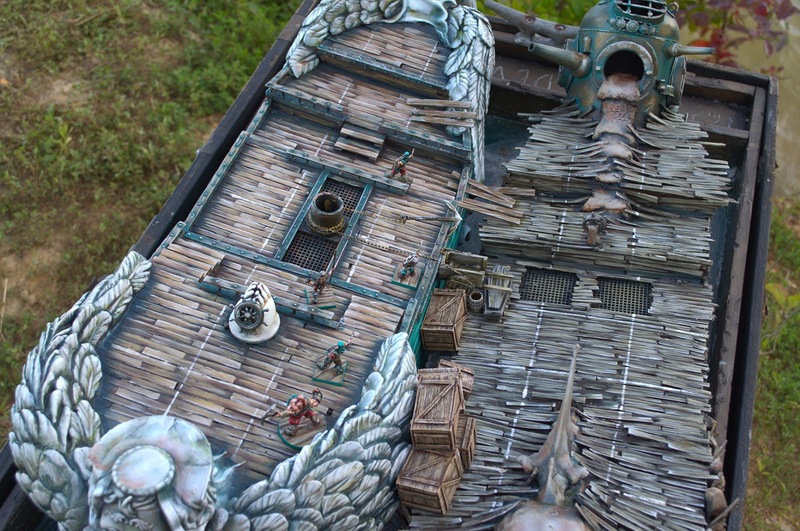 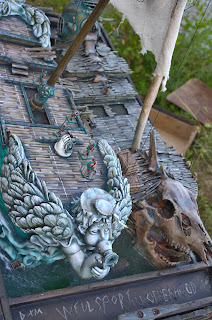 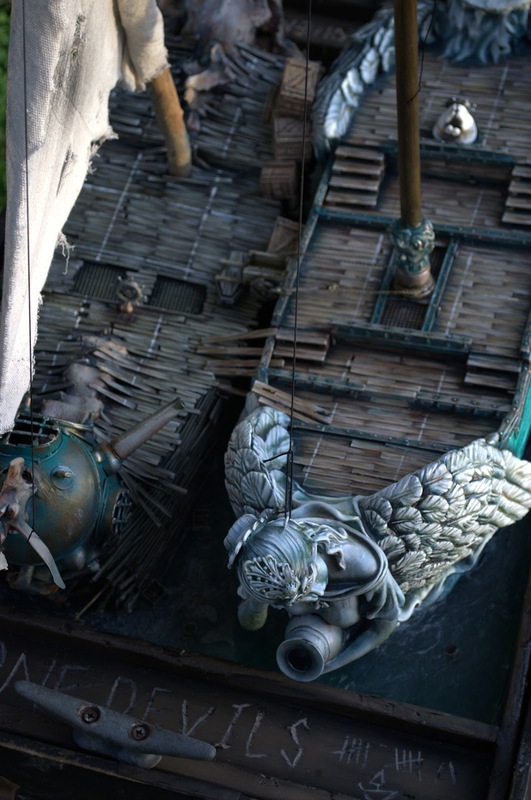 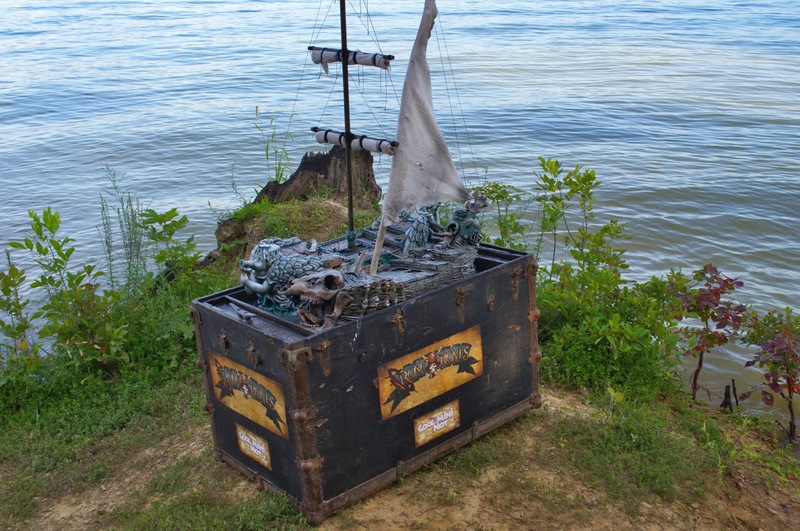 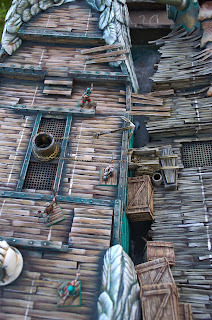 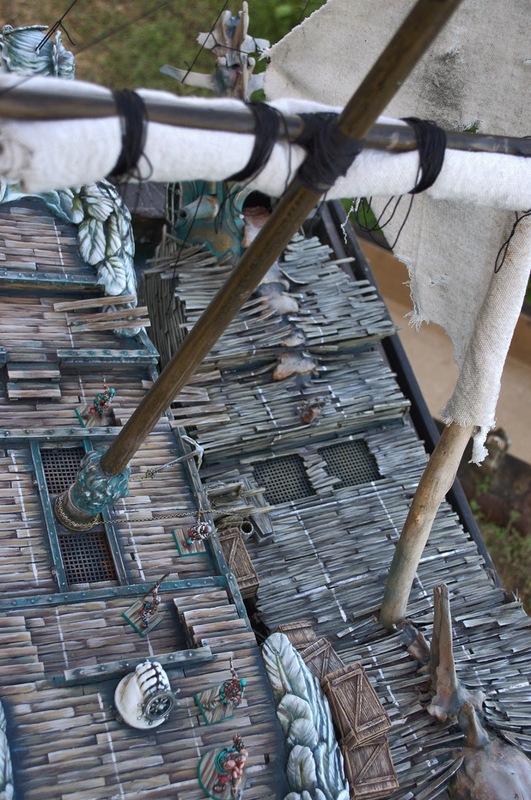 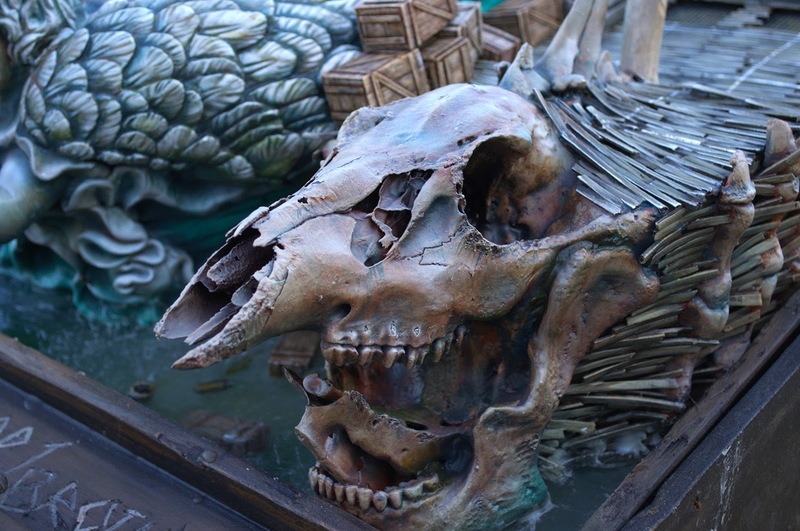 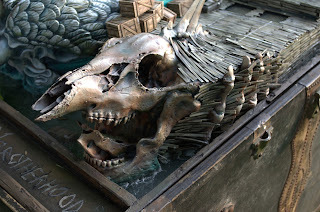 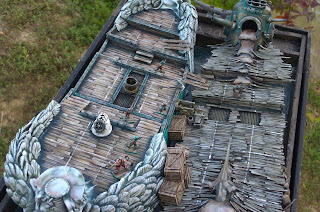 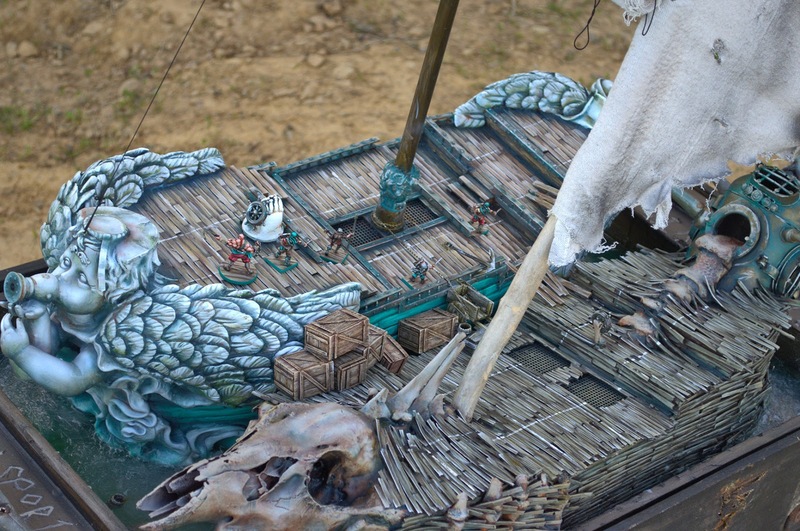 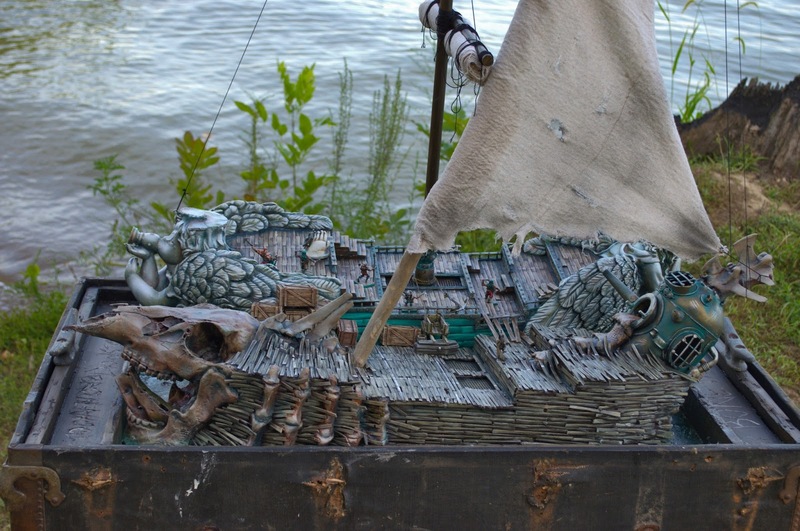 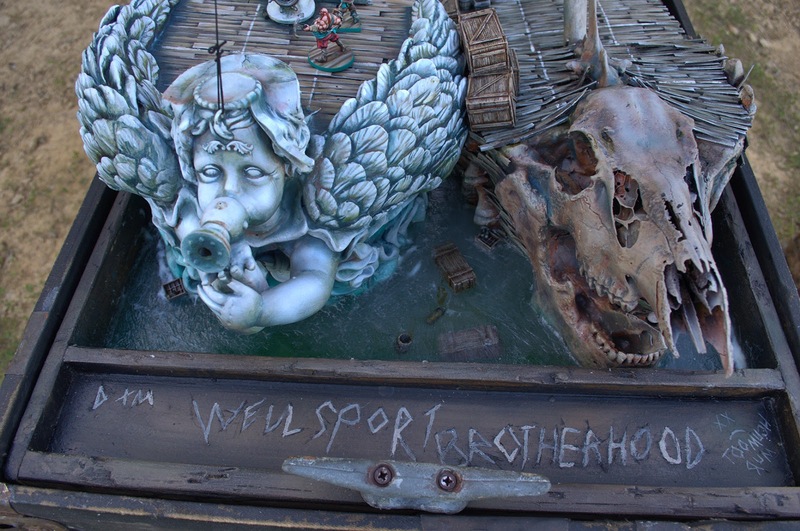 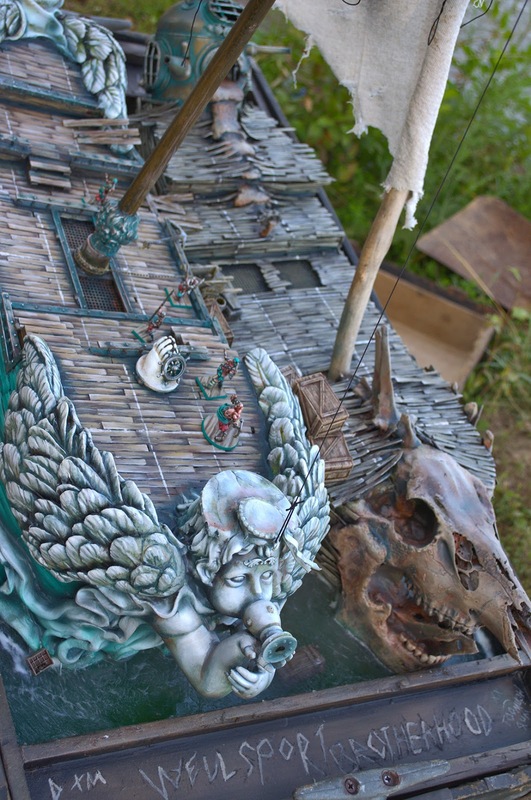 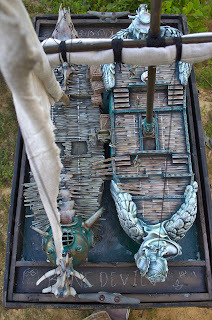 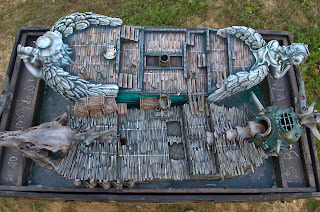 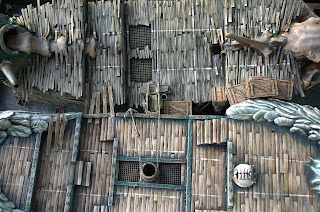 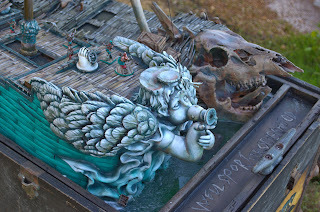 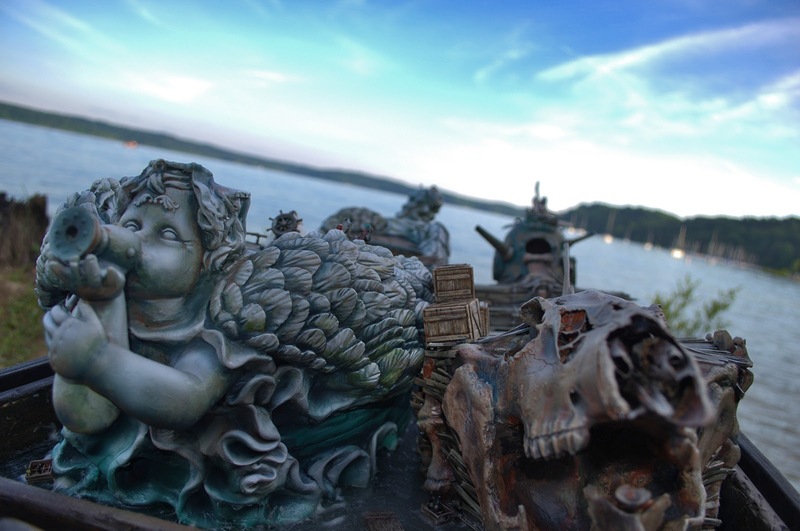 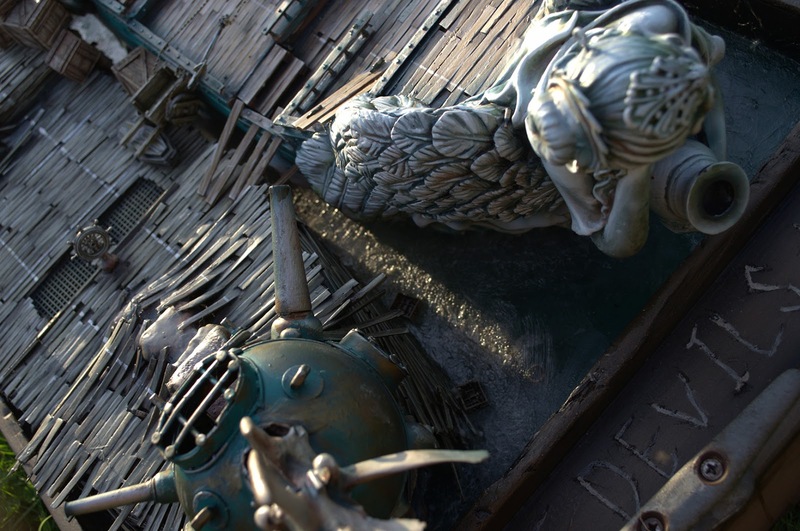 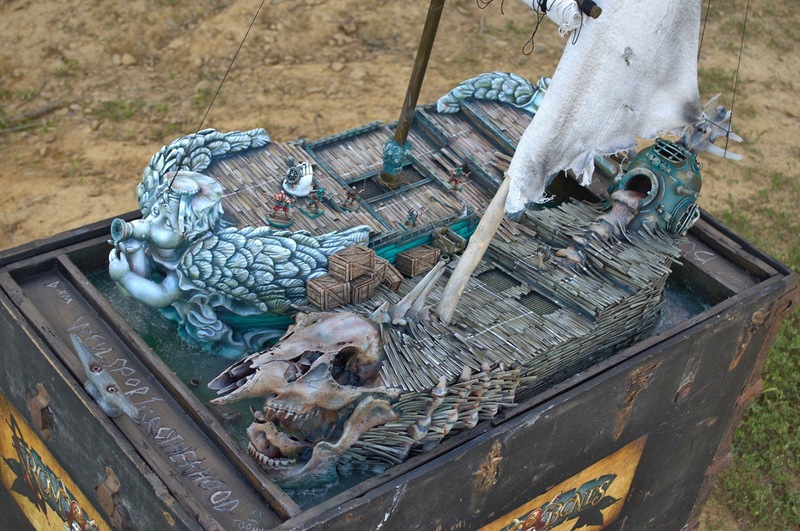 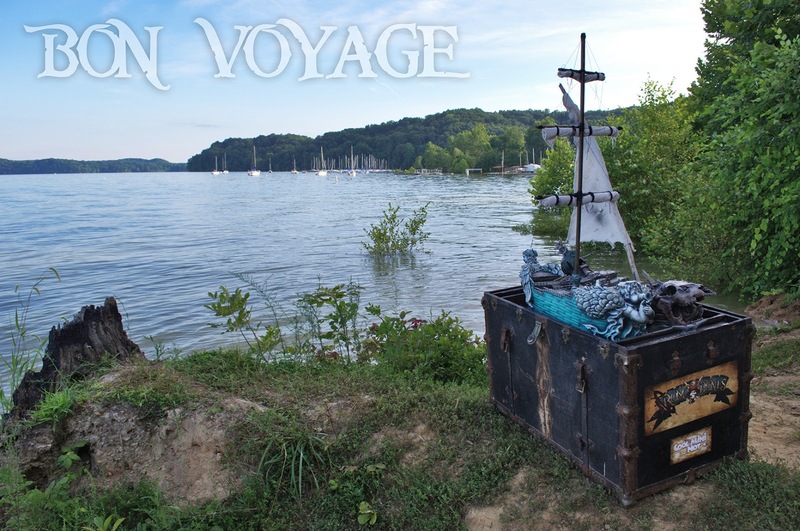 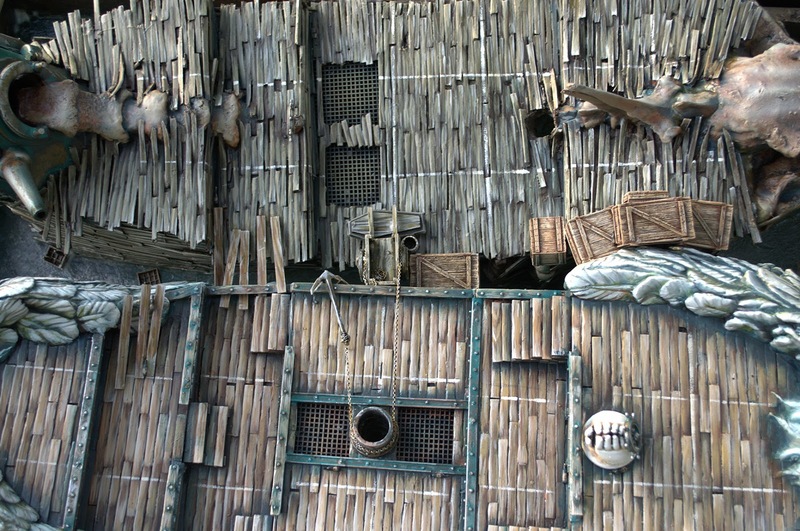 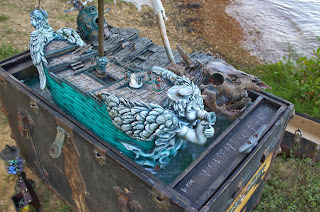 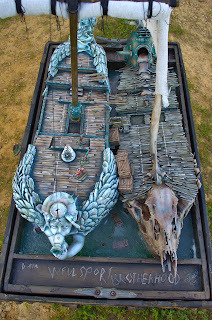 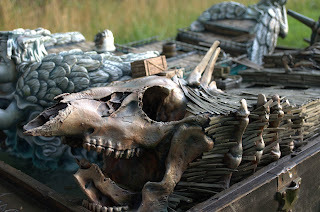 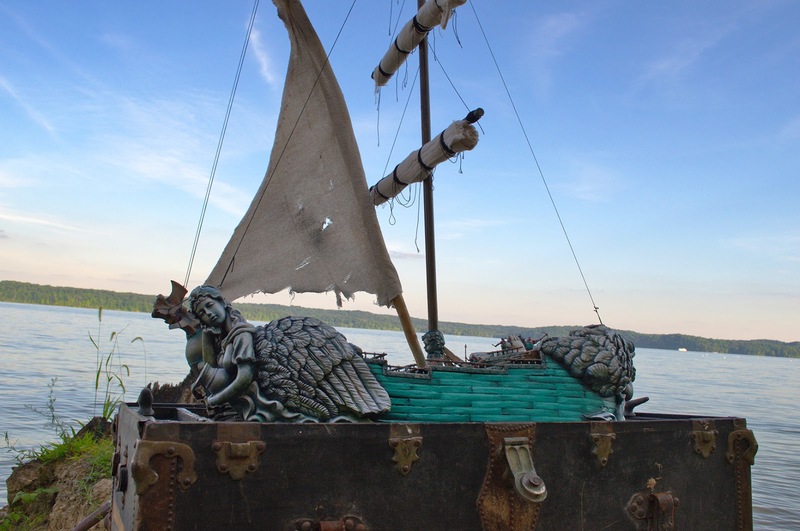 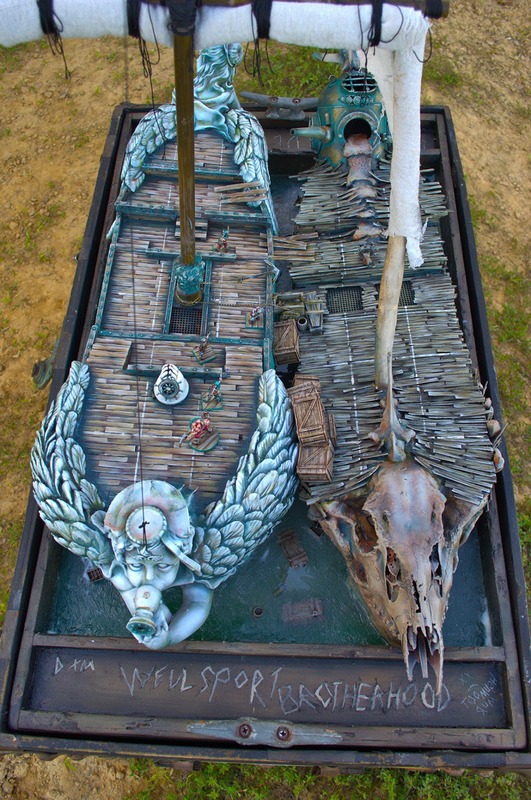 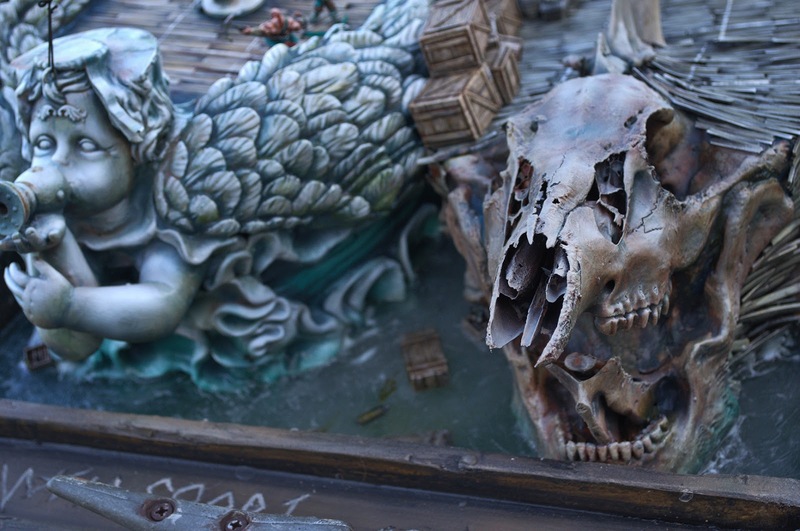 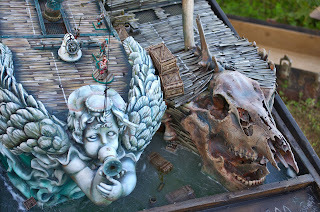 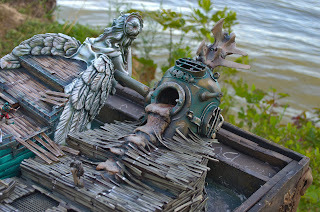 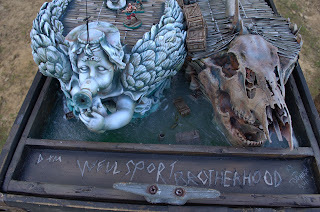 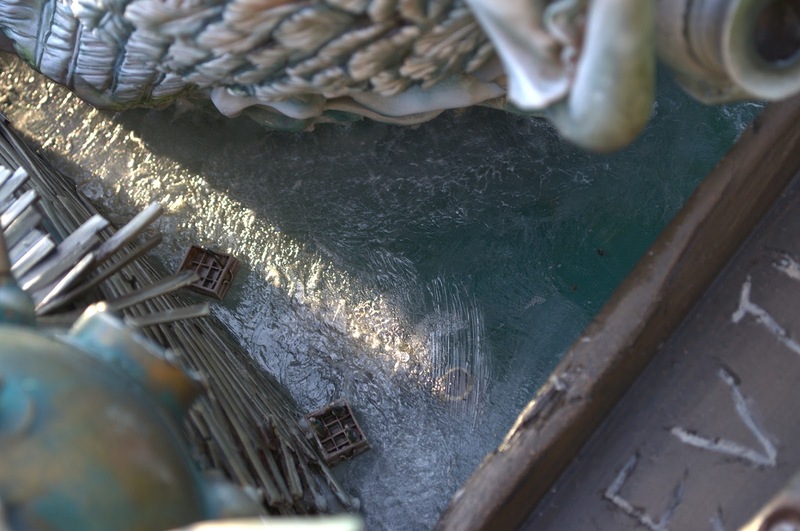 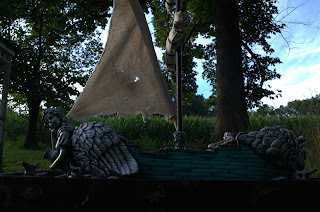 The ships are 100% scratch built from foam, clay, plastic stock, and a few animal bones. 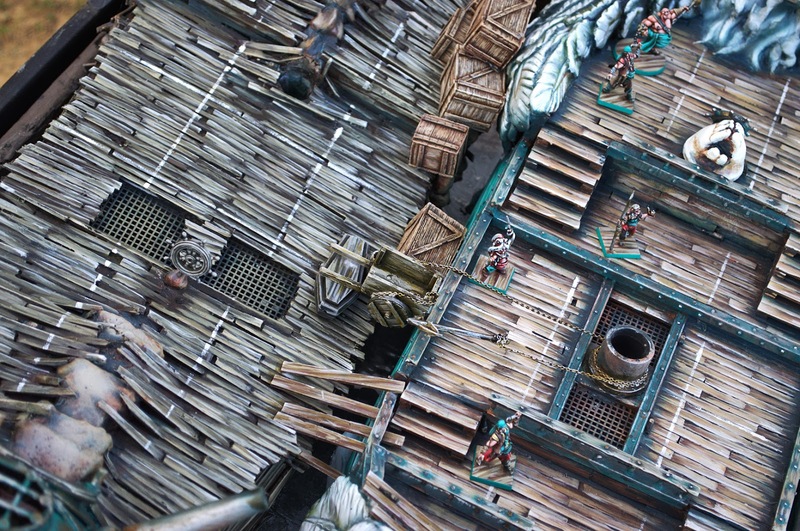 The surface is 1:1 the scale of the game boards, and fully playable. 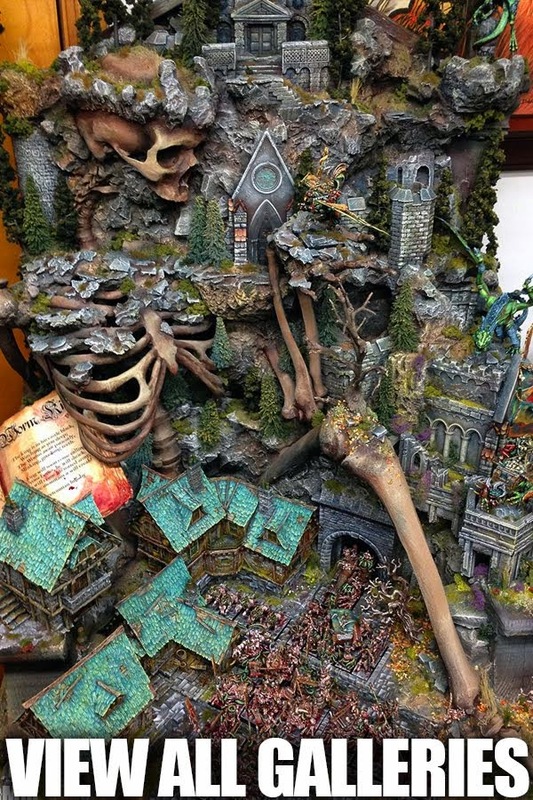 The display collapses fully. 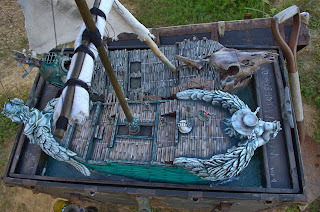 Tray sinks into box, sails remove, and all goes within the box, lid returned to it's proper place. 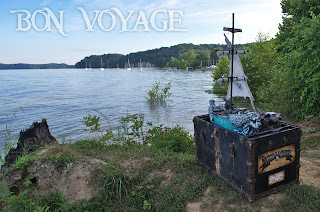 Going to Gencon? 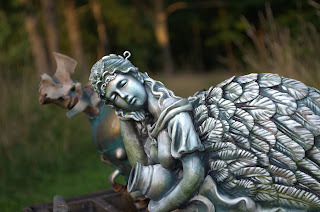 Stop by and say hello. 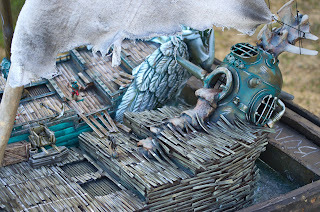 I will be there all weekend helping to demo the game and chit-chatting my voice away as usual.